A decision to end tobacco sales hurt front-of-store sales revenue. 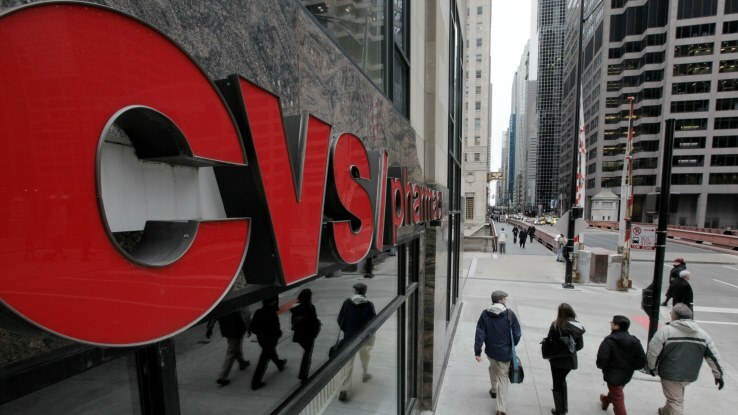 (Bloomberg) — CVS Health Corp. (NYSE:CVS) narrowed its full-year earnings forecast after the pharmacy company’s retail sales growth slowed in the second quarter. Adjusted profit will reach $5.11 to $5.18 a share, compared with a previous forecast of $5.08 to $5.19 a share, CVS said Tuesday. Analysts had projected $5.17 a share. Retail sales rose 2.2 percent in the second quarter, the Woonsocket, R.I.-based company said in a statement. That compared with a 2.9 percent increase in the first three months of the year. CVS shares fell 3 percent to $109.40 in early trading. The shares had gained 48 percent in the 12 months through Monday. The new forecast overshadowed a second-quarter profit report that beat analysts’ estimates. Profit excluding one-time items was $1.22 a share, 2 cents above the average of analyst estimates compiled by Bloomberg. Sales rose 7.4 percent to $37.2 billion, in line with analysts’ estimates. CVS, the largest provider of prescription drugs in the U.S., is expanding further beyond its retail roots with two second-quarter acquisitions. They’re part of a record year for the health care industry, with consolidation affecting insurers and drugmakers. In May, CVS agreed to purchase nursing-home pharmacy Omnicare Inc. for $12.7 billion, expanding services to the country’s elderly. Less than four weeks later, CVS struck a deal to acquire Target Corp.’s pharmacies and clinics for $1.9 billion, putting its brand, which includes OneMinute Clinics, in retail locations across 47 states. Pharmacy services revenue rose 12 percent in the second quarter to $24.4 billion, the company said. Front-of-store sales for locations that have been open at least a year dropped 7.8 percent, reflecting the company’s decision to stop selling tobacco products.